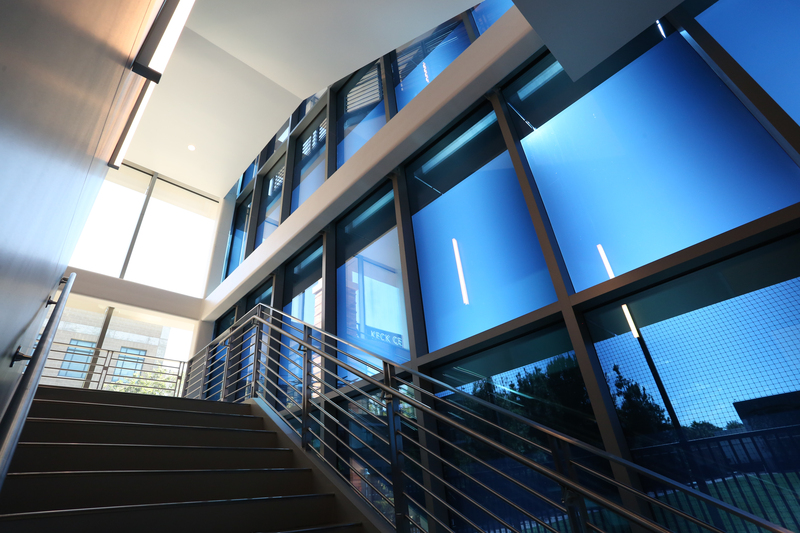 Ribbon-cuttings are usually just door-opening events to celebrate a new building. 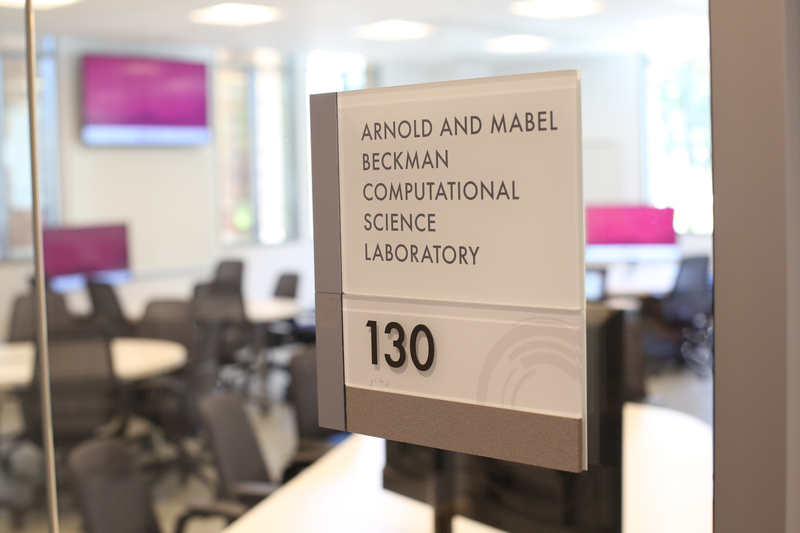 But not so at Chapman University’s official unveiling of its new Keck Center for Science and Engineering. 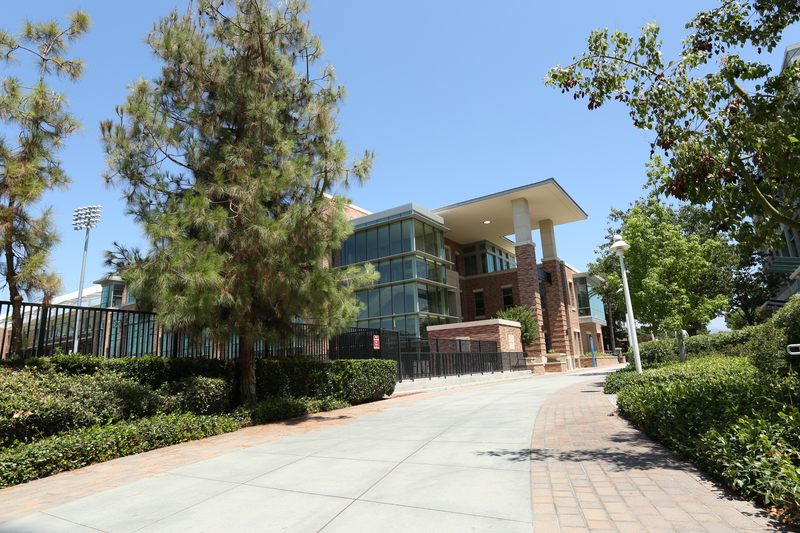 Even as University supporters, alumni, faculty and students gathered at the center’s entrance, activity inside was well underway. 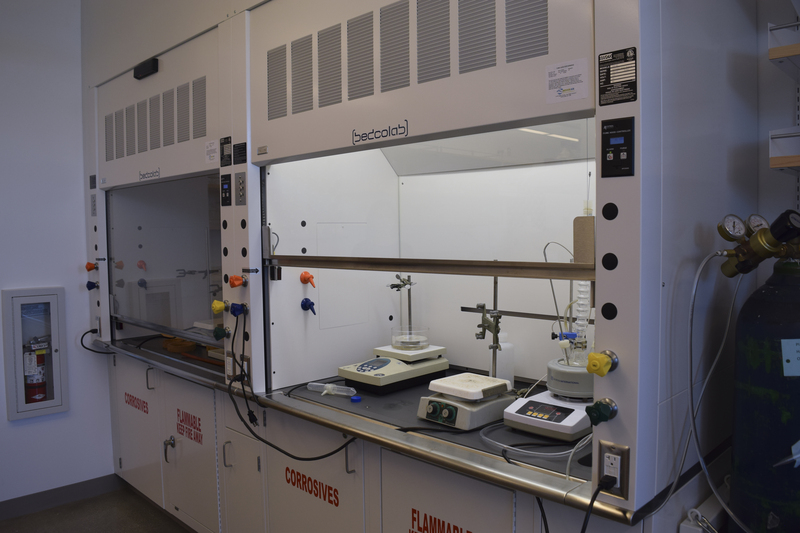 First-year students in General Chemistry I toiled away in new labs. 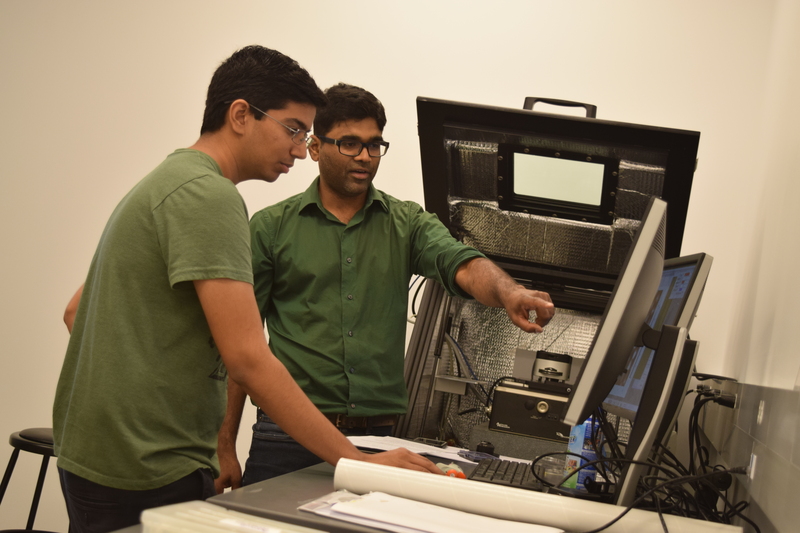 A software engineering class studied data management systems. 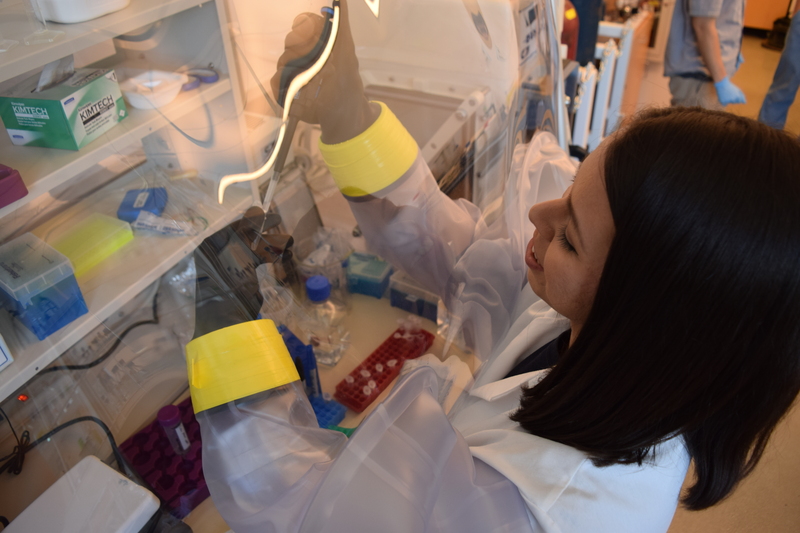 An eel-like fish rested in a specially-designed tank where researchers are already uncovering insights into its slimy secretions that may be useful to materials engineers. 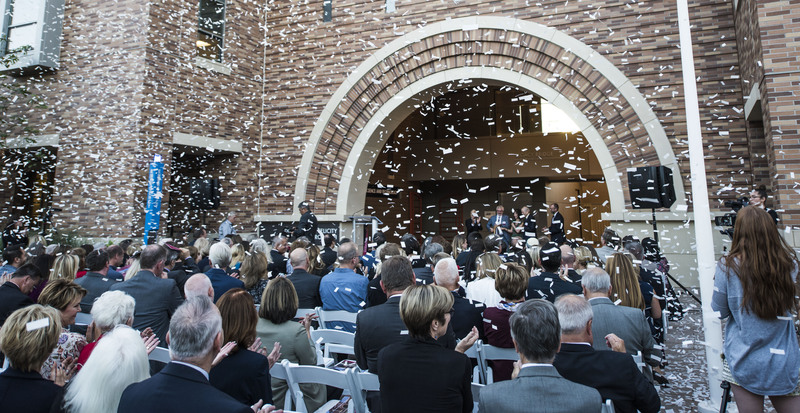 Such energy illustrates the future of the sciences at Chapman, President Daniele Struppa told the audience that gathered for the historic moment. 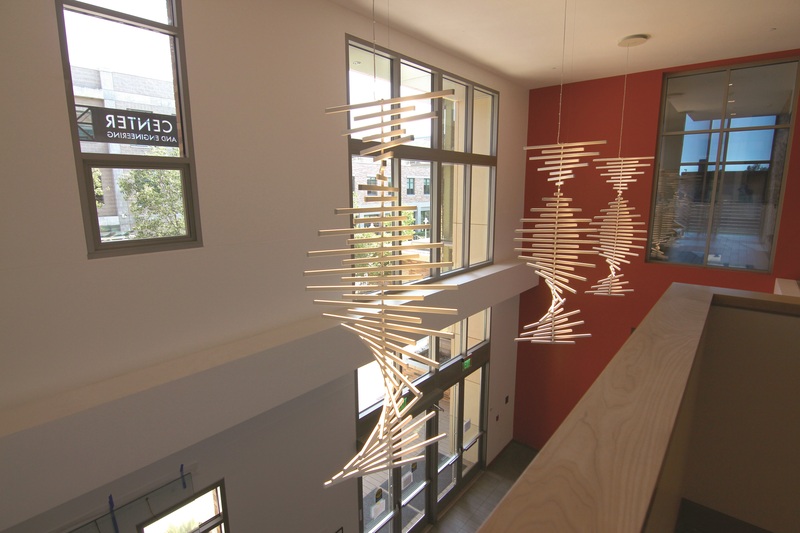 Struppa made the comments at a Thursday, Oct. 11, ceremony that was followed by an open house. 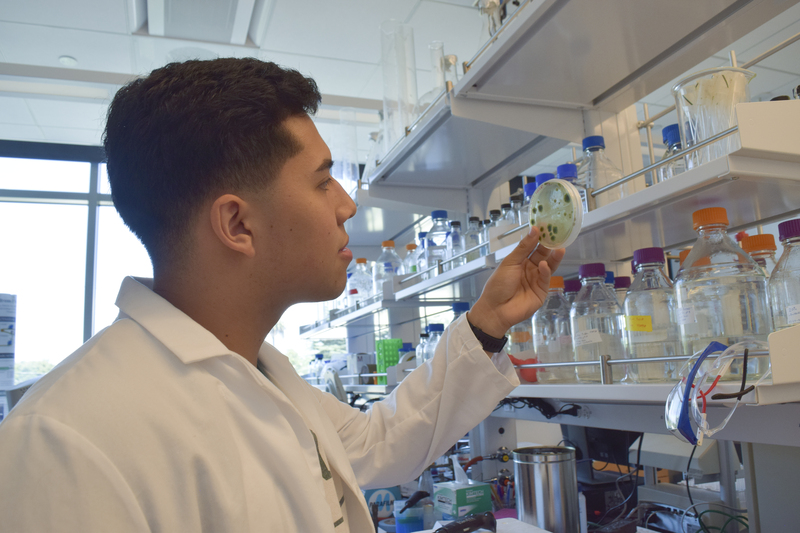 Visitors toured classrooms, heard researchers explain their work and even sampled colorful green-egg-and-ham appetizers cleverly concocted by a culinary team from Chapman Restaurant Services. 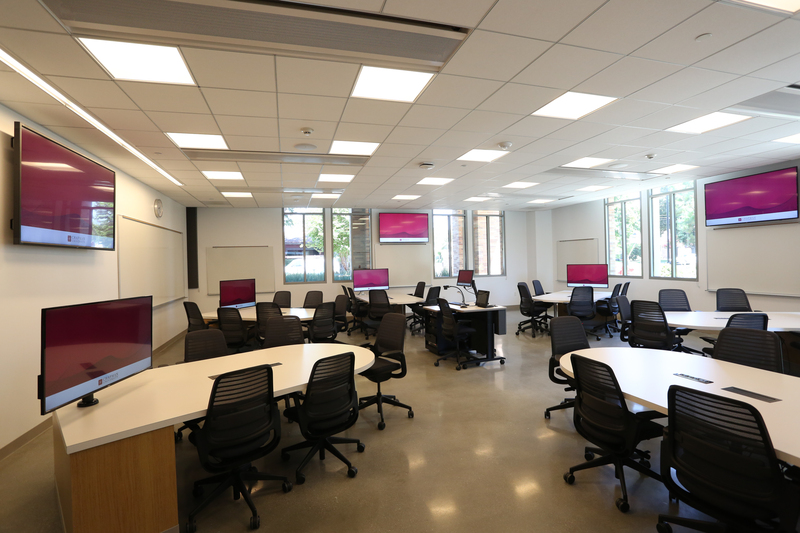 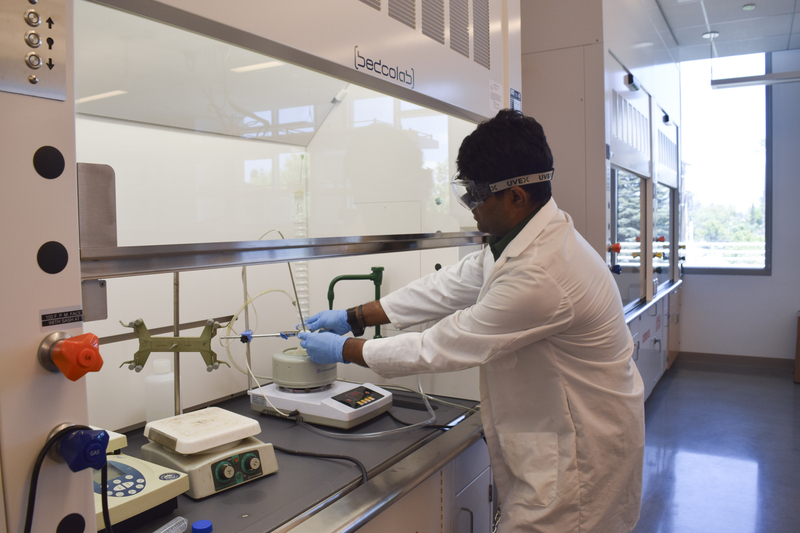 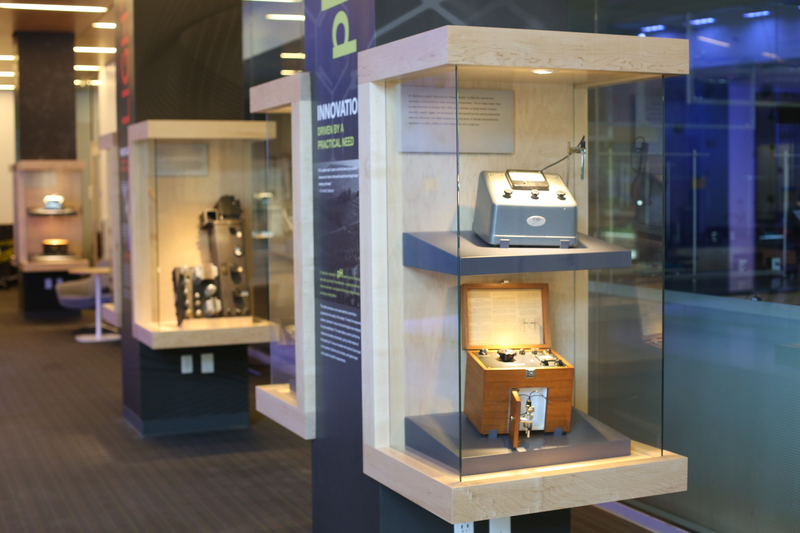 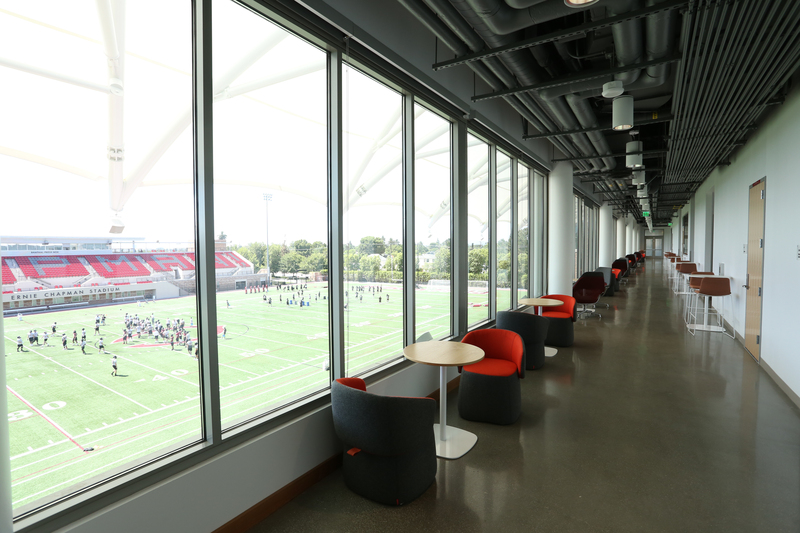 Keck Center for Science and Engineering opened its doors to students and faculty in August, just in time for the new academic year. 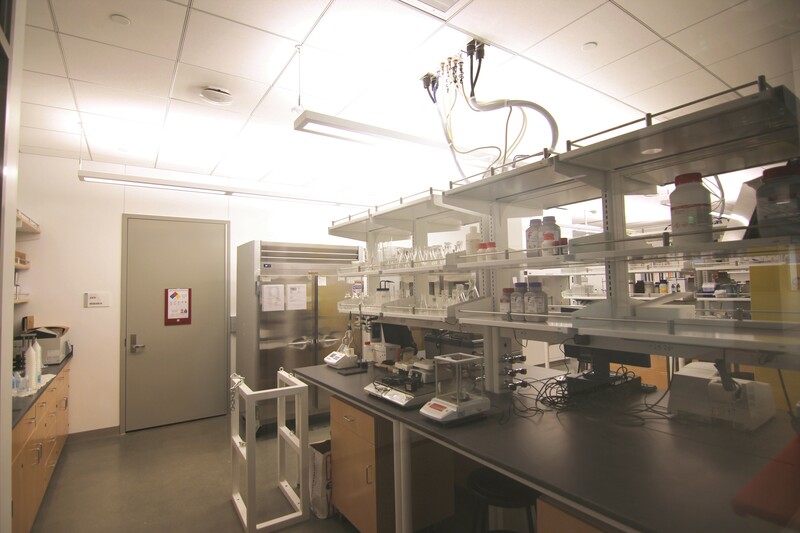 Supported by a $20 million grant from W.M. 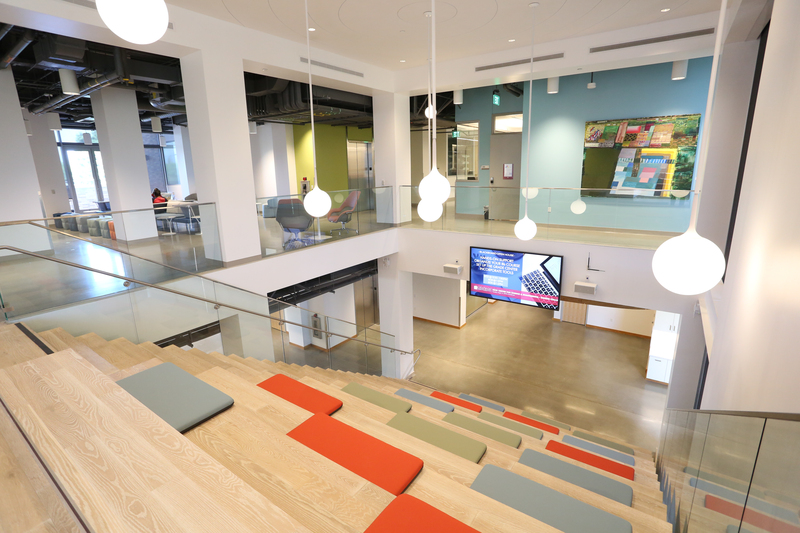 Keck Foundation, this game-changing facility spans nearly an entire city block and offers 140,000 square feet of space for learning, research and collaboration. 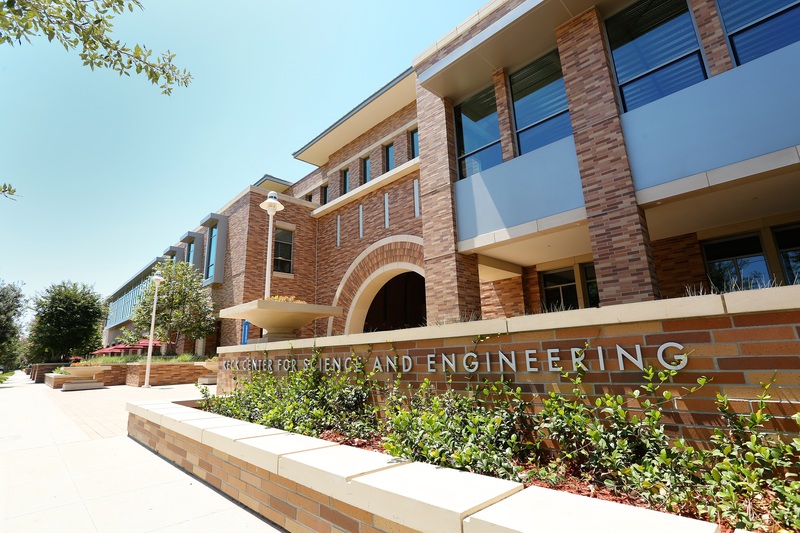 Home to Schmid College of Science and Technology, the building will also house Dale E. ’58 and Sarah Ann Fowler School of Engineering, opening in fall 2020. 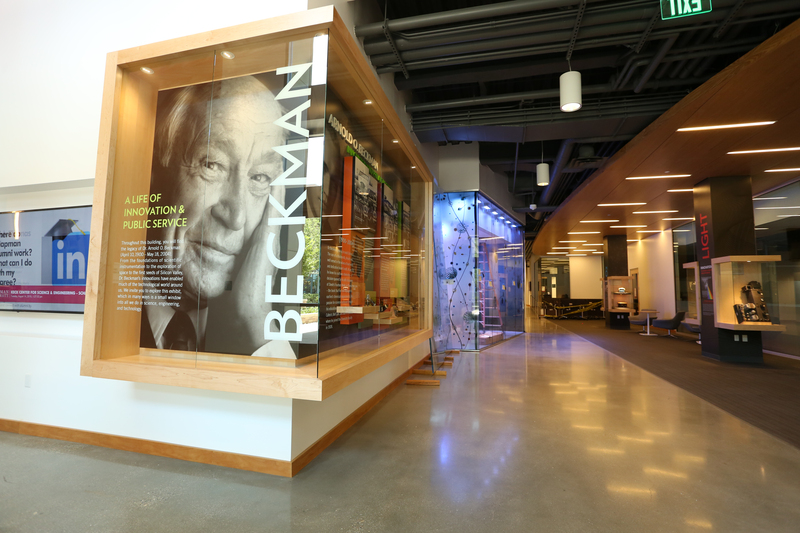 The naming gift from Keck Foundation, along with gifts from more than 450 additional donors, supported the building project, Chapman’s largest to date. 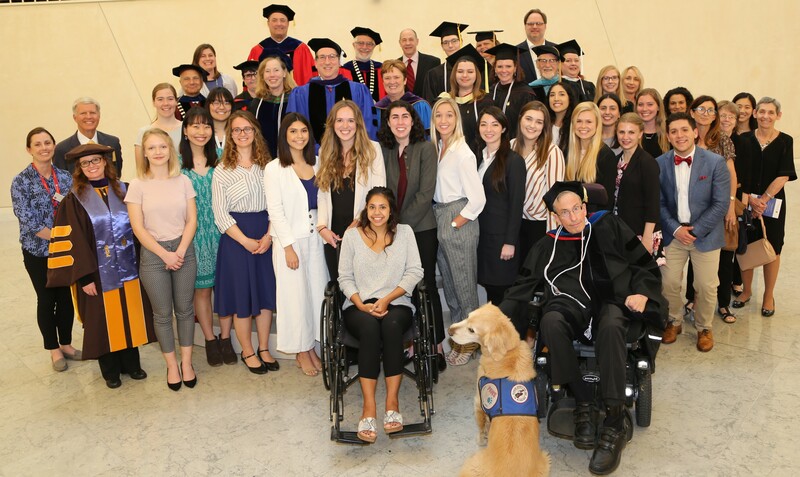 The Foundation has contributed significantly throughout Southern California to scientific and medical research and education with its grants, including those to Keck School of Medicine at USC, Keck Institute of Space Studies at the California Institute of Technology, Keck Graduate Institute of Applied Life Sciences at the Claremont Colleges, and grants for outstanding projects at UCLA. 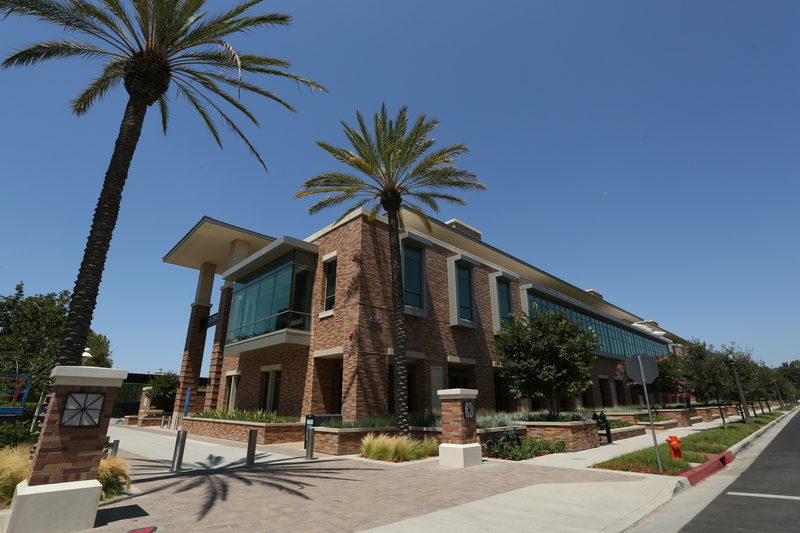 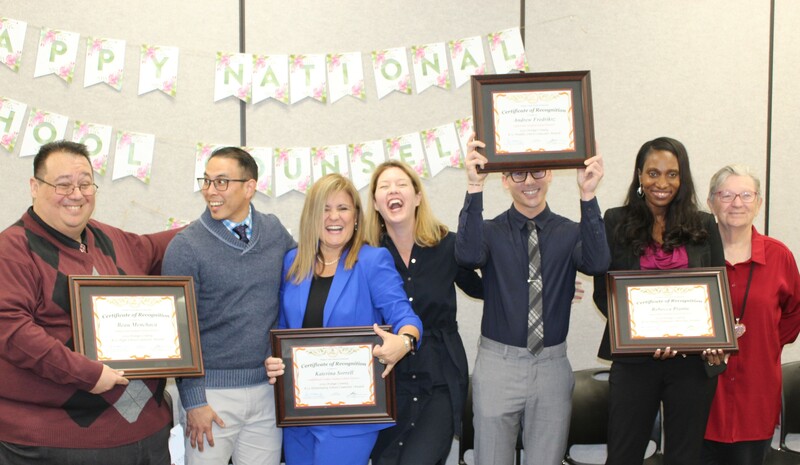 “I decided we were not represented in Orange County,” said Robert Day, the foundation’s chairman and chief executive officer. 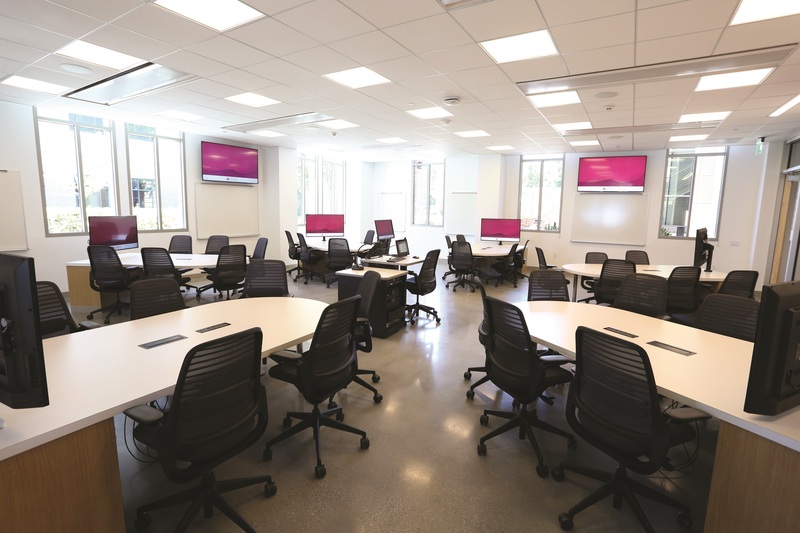 Designed by AC Martin Architects, Keck Center is the University’s most expensive building project to date and represents a 182 percent increase in dedicated space for the sciences on the main campus. 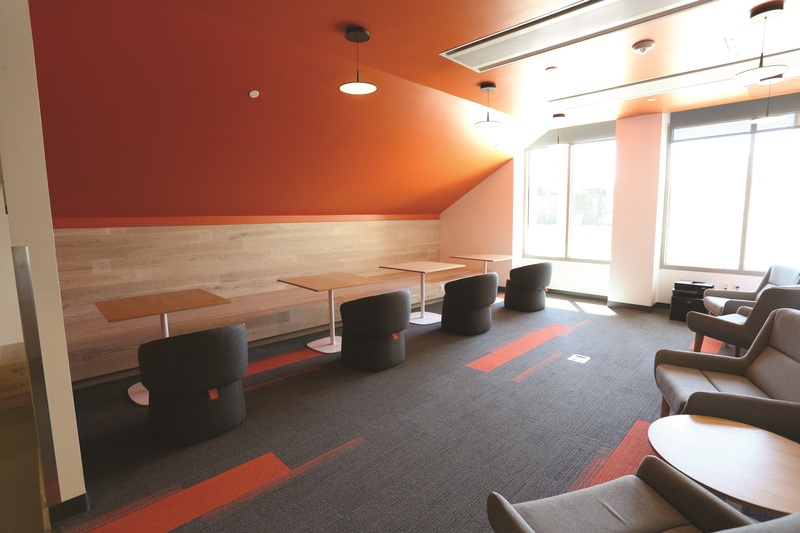 The guiding design principle, though, was student experience, said Andrew Lyon, dean of the Schmid College of Science and Technology. 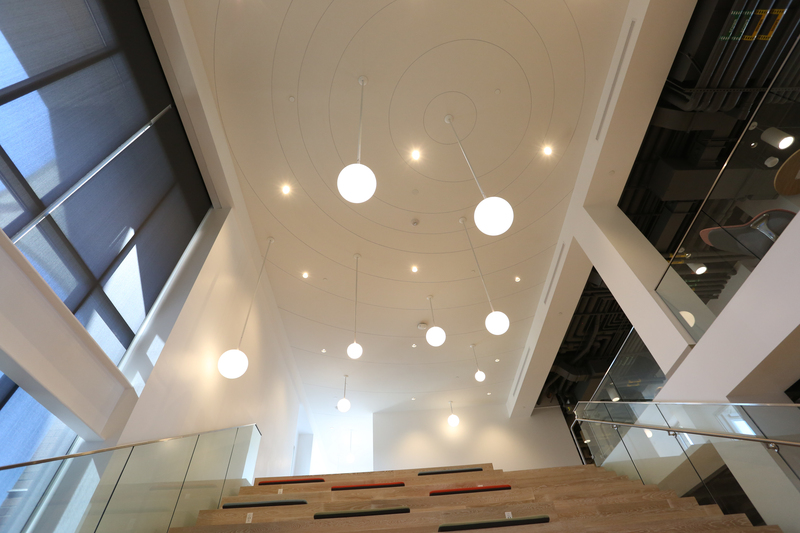 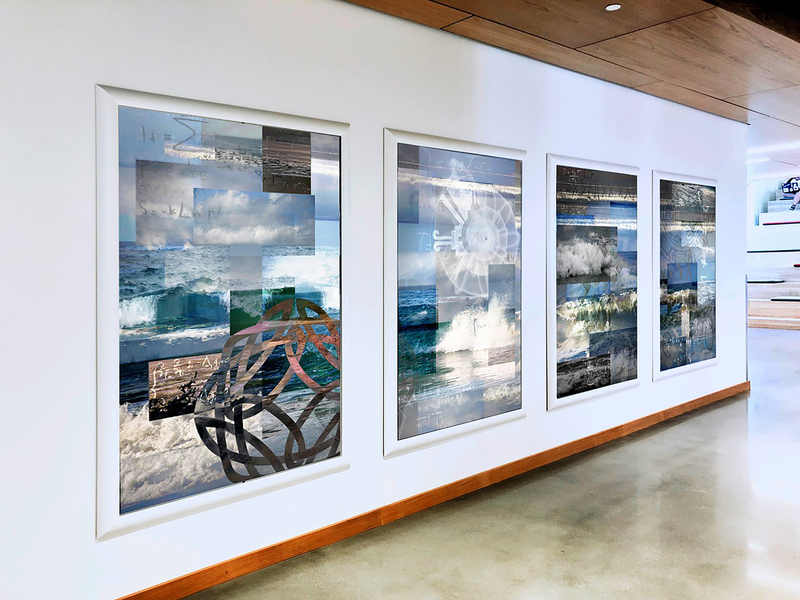 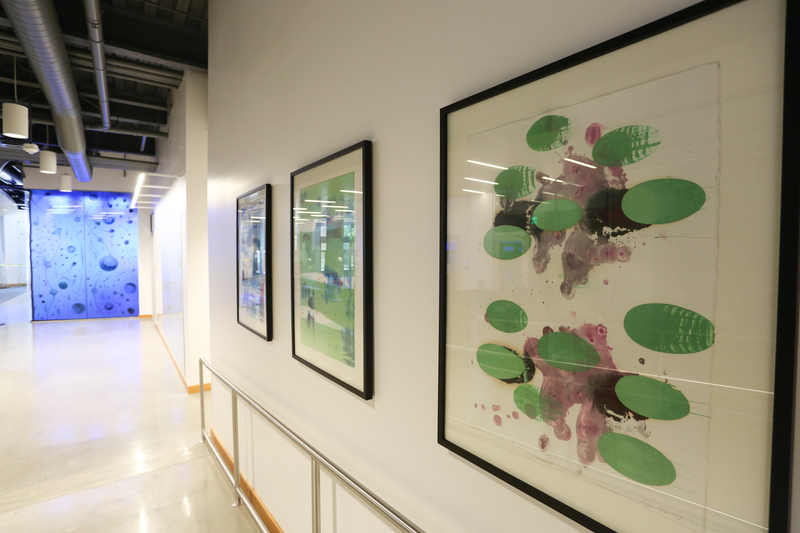 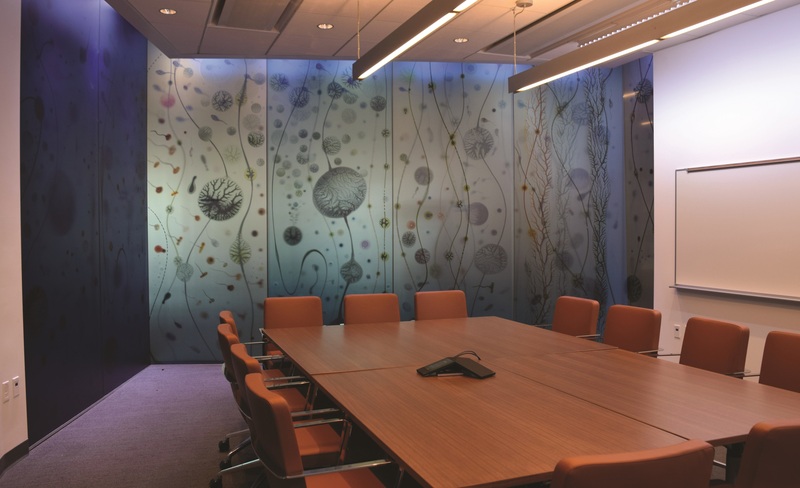 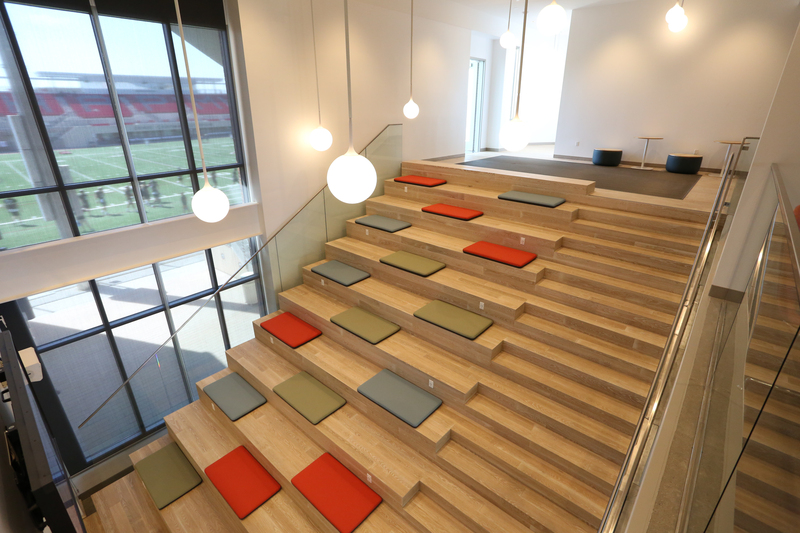 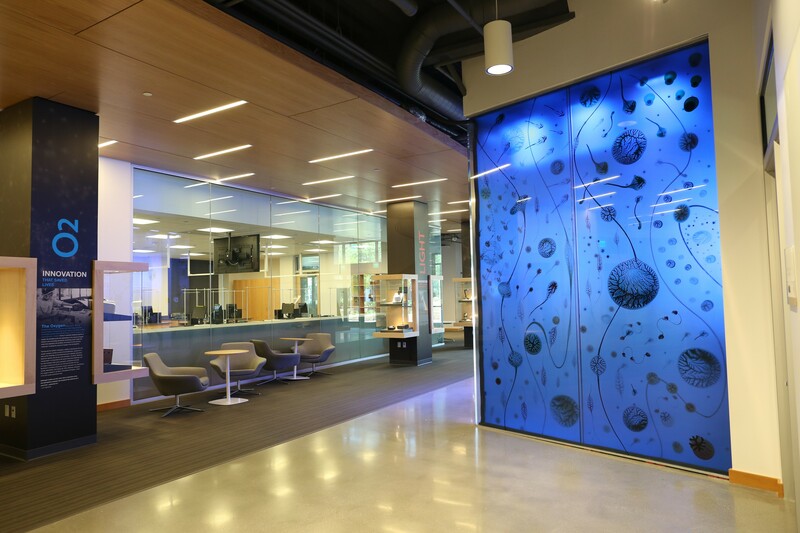 Each floor includes collaborative teaching and research spaces, an abundance of glass walls that invite collective brainstorming and even permanent art that offers compelling views ranging from tiny microscopic life to grand cosmic worlds. 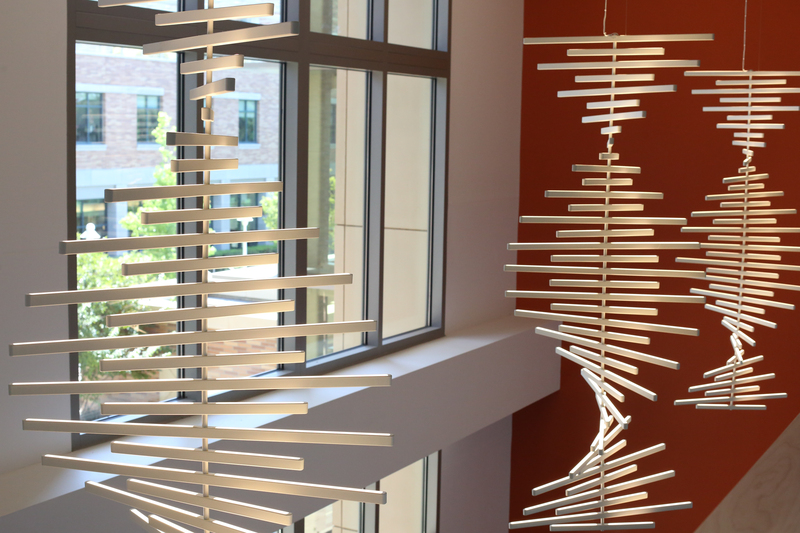 “It has been designed as a place where our students and faculty can engage deeply in the sciences, a place that fosters natural convergence between all the disciplines,” he said. 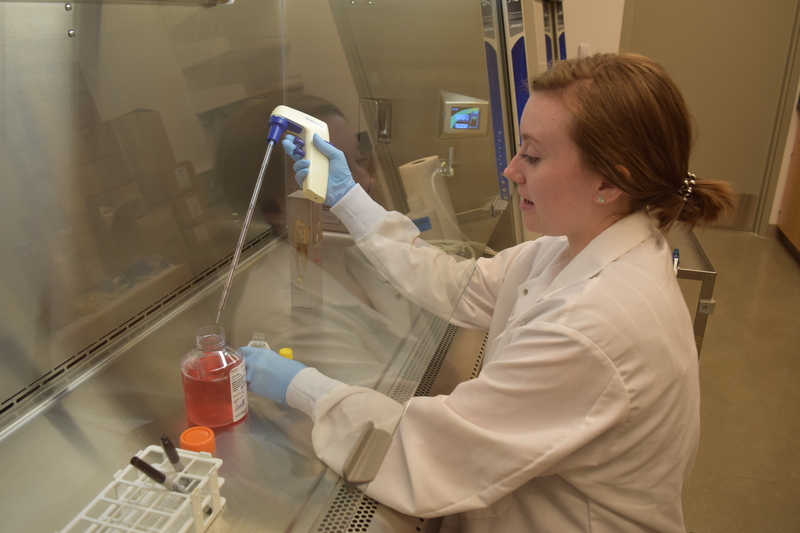 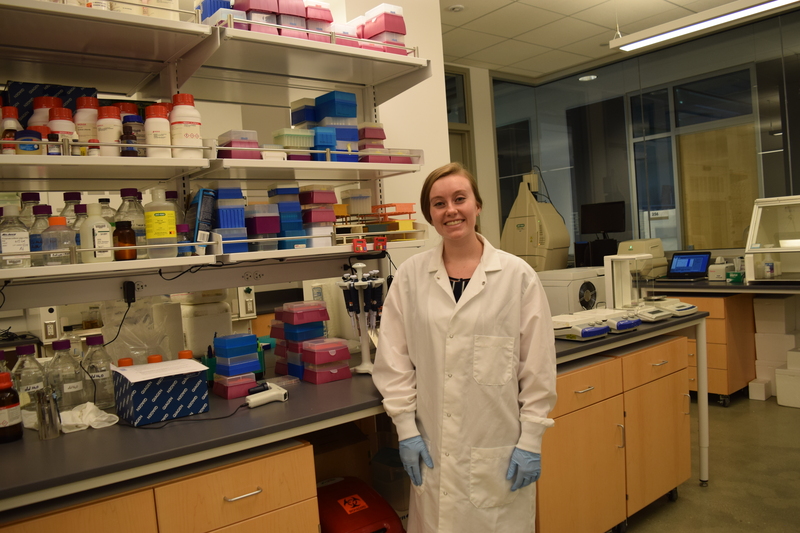 Lauren Friend ’19, a biochemistry major and philosophy minor who is a member of the hagfish research team, spoke of the role a physical space can have in making such connections a reality.